We have all heard the term “the Greeks” as it applies to stock options. Most of us know that these factors somehow explain how certain parameters can impact the value of an option premium. To avoid facing some members of the BCI community claiming that “this is all Greek to me”, this article will serve as a review of this subject. There are several factors that allow us to estimate the risks associated with our option positions. Together, they fall under the heading of the “Greeks” because most of them are named after Greek letters. In other words, for every change of $1 in share price the option value changes by one half that amount. Gamma: Second order price sensitivity. The rate of change for delta with respect to the price of the underlying security, you can call it “the delta of the delta.” It is an estimate of how much the delta of an option changes when the price of the stock moves $1. When an option is deep in-the-money or deep out-of-the-money (several strikes above or below the market value of the stock), the gamma is small. When the option is near the money, the gamma is the largest. Gamma is used when trying to gauge the price of an option relative to the amount it is in or out of the money. 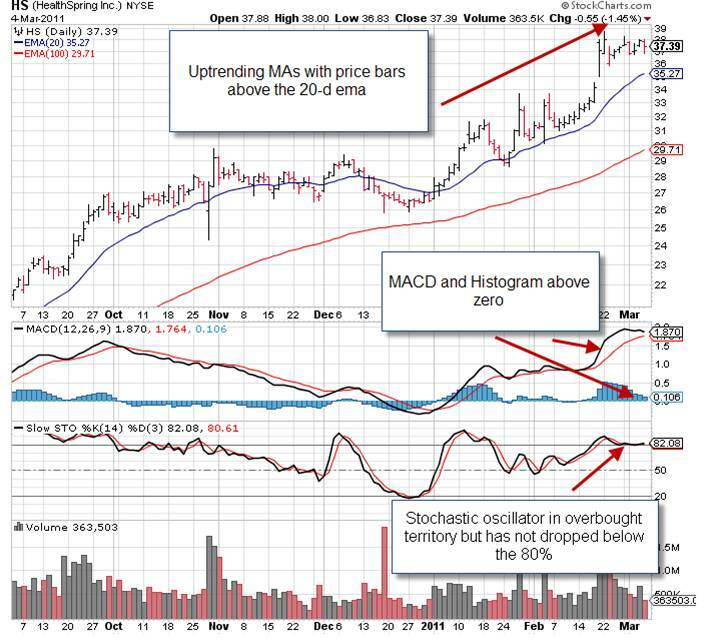 Theta: Educated covered call writers know that it is critical to sell our options early in the 1-month cycle. I always try to sell my options in the first week of a 4-week expiration cycle and no later than the beginning of the second week of a 5-week cycle. The reason has to do with the time value of the option premium and the erosion of its value over time. This is known as theta and it is one of the option Greeks. As Blue Collar Investors, we are selling time or Theta. Since intrinsic value only changes with the movement of the stock price, theta plays no role in this aspect of the option premium. However, it does have a major impact with time value and covered call writers should be aware of this relationship. Notice how the decline in time value starts off gradual (red), accelerates (blue), and then “falls off a cliff” (green). Since at-the-money (A-T-M) strikes have the greatest time value (ROO), they have the most to lose over time. Therefore, theta is greatest for A-T-M strikes and lower as options go deeper I-T-M or O-T-M.
As volatility increases, theta increases and vice-versa. Higher volatility means greater time value so each day’s decay will be greater if there is no movement. Theta increases as there are fewer days to expiration Friday. 1- Allows us to capture a generous option premium shortly before its dramatic time value decline. 2- Allows us to close our positions profitably during the week of expiration Friday (if we chose to do so) as the cost to buy-to-close has dramatically declined, especially if the stock price has not changed. 3- Allows us to execute a mid-contract exit strategy at a reduced price. Understanding theta also drives us to selling our options at the ideal time, not too early and not too late. It is not necessary to analyze the specific theta of our sold options however, understanding the principles of theta and the impact it has on our option values will make us better investors. Vega (the only “Greek” not represented by a real Greek letter): Volatility sensitivity. It is the amount that the price of an option changes compared to a 1% change in volatility. Higher volatility means higher option prices. This is because the greater volatility brings with it larger price swings and more likelihood of an option to make money. Vega is highest for A-T-M calls and lower as options delve deeper I-T-M and O-T-M. Vega also falls as the option gets closer to expiration. Rho: Not considered a major Greek, measures the change in the option price due to a change in interest rates. As interest rates increase so does the option value as owning the underlying security will result in opportunity lost when interest rates go up. Buying a call option rather than the stock will allow the option buyer to use the “saved” cash to take advantage of these higher interest rates. The bottom line is that it’s not essential to memorize the definitions of the Greeks (unless you’re going to appear on Jeopardy). It is helpful, however, to understand the concepts of how price, time and volatility play into the value of our option premiums and what that says about the nature of the underlying equities. For the week, the S&P 500 declined by 0.5%, for a year-to-date return of 8.9%, including dividends. BCI: Cautiously bullish using out-of-the-money strikes in about 25% of new positions. Thanks to our general and premium members for your support and a special warm welcome to all new members. Based upon the weekly results from the stock screener, I purchased 200 shares of Questcor Pharmaceuticals QCOR at $52.99 a share, on 6/25/12. I also sold 2 QCOR July 2012 $50 calls, receiving $3.90 a share. As I write this, QCOR is at $49.65 and the $50 calls are around $2.25. I could buy back the calls and receive approximately $1.65 per share. But, if I sell the stock I would be losing $3.36 a share. Or I could close the option and keep the shares, hoping for a rebound. If I close out the option, should I sell another deep ITM call for another month? Or what exit strategy would you use in the above example. 1- Of the $3.90 premium, $2.99 is intrinsic value (not profit). We use this to “buy down” our cost basis to $50. The remaining time value is $0.91. Therefore your initial 1-month return is 91/5000 = 1.8%. Your shares are worth $50. 3- As I write my response QCOR is trading @ $49.81 so your trade is still profitable. 1- Since the current “ask” of $2.00 does NOT meet our 20%/10% guidelines we would only close our short position is extremely bearish on the stock or overall market. 2- If bearish, we would buy back the option and either roll down or sell the stock. 3- Since the stock is declining probably due to overall market decline, the stock remains a solid candidate but if risk tolerance is low we may opt to roll down to get downside protection. 4- One example as to how to do this (not necessarily a recommendation) would be to buy back the option @ $1.90 (last trade) and roll down to the $45 strike which is can generate $5.50 or a net credit of $3.60 per share. 5- Our 2 premium credits add up to $7.20 per share and that reduces our cost basis from $52.99 to $45.79. Should our options be exercised and our shares sold for $45, our loss would be $158 for the 200 shares. This is an action we would take to mitigate losses if we were bearish on the stock and the overall market. The Weekly Report for 07-06-12 has been uploaded to the Premium Member website and is available for download. So many people tell me they could not do what I do because they are bad at math. I tell them math pretty much has very little to do with my job, it is judgment. What does this have to do with the Greeks? Do not let the MATH be a substitiute for your your JUDGMENT. You should not ignore trends, but I often wonder at what point the tail starts wagging the dog. Have you ever heard of the Hawthorne Effect? It is the theory that the simple act of observing something that knows you are observing it can change the behavior you are observing. Application to the Greeks? Simple. The more traders adhere to the movements of the Greeks, the more the Greeks move. Look at the IBD 50. Do the stocks make it to the IBD 50 because they are good stocks, or are they moving well because they are on the IBD 50? My point? Don’t let the Greeks control your decisions. If an option should be losing money faster than it is, should you get rid of it? Look at the other factors. There are some days I look at my positions and wonder what the current traders are smoking. They may be following the Greeks. They may be following the pattern of the bones as they hit the floor. I don’t really care. I use my JUDGMENT to decide if I think they are right, or wrong. Even my experience does not really help. As the old saw goes, “Past performance …etc”. So, you can use the Greeks as another tick mark on your list of buy, sell, or hold questions, but do not let them make your decision for you. Leave that to the giants trading millions of dollars every second, using computers larger than your refrigerator. You take a nibble here, and another nibble there, and by the end of the year you should have had a pretty good meal…..and the giants will not have noticed, or cared. I noticed that a large percentage of the stocks on this weeks list report earnings during the August contract. How do you handle a reduced list of eligible stocks? You can use the stocks that report this period (the stocks in gold). The stocks are sorted by ER date, so you can recheck the stock after it reports, to see if it qualifies. For the stocks in the next reporting period, there are an additional 20 stocks that report during the first week of the August option month. You can look at these right after they report. you can look at the 3 stocks that report in the September option month. So you have a list of stocks (approx. 30) that could work for you. but remember, please re-evaluate each stock after it’s ER to make sure that it still meets our requirements. I addition to Barry’s great response you can also consider the 15-20 exchange-traded funds listed in the weekly ETF report. Because these securities represent baskets of stocks, earnings reports are not a consideration. Questcor Pharmaceuticals Inc.’s (QCOR) preliminary June estimates for its shipped paid Acthar prescriptions show month-to-month increases as the company has worked to broaden physician awareness for its prescriptions though expansion of its sales force. Shares climbed 8% to $54.34 in recent trading, setting a new high. The stock has soared 96% in the past 12 months. This means that the time value of the $50 call is $0.16, less if we can negotiate an ask price of $7.75 (very possible). This is less than two tenths of one percent of Jeff’s original profit. Once the position is closed, the cash can be used to enter a new position with a different stock which could generate a much higher return than the closing debit. See pages 264-271 of “Encyclopedia….”.The other choice is to take no action as this position has plently of protection and re-evaluate as expiration Friday approaches. Click on image to enlarge. It looks like QCOR had a price drop today over $5. Closing the position yesterday would have been a timely move. Still above the $50 strike price. Good luck to those in this trade. This has been one interesting trade so far. You may want to use this one in your next book, and it can have a chapter of its own on EXIT STRATEGIES. I’d research the news first before acting. 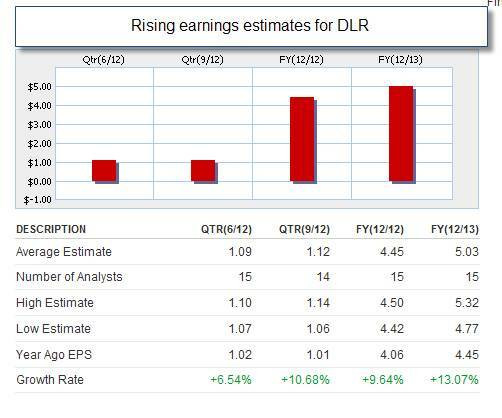 Here’s a new wrinkle on the earnings reports issue. I have a put spread on ISRG that was doing very nicely yesterday. ISRG reports its earnings on july 19, so I intended to close it by the end of this week or early next week. Well, guess what? MAKO, a very similar company, sent a warning today that its earnings will be weak. Consequently, ISRG dropped like a stone this morning, so now my lovely green number is now vivid red. So now I have to watch out for earnings on other similar companies. I think I will stick with Apple. There are no similar companies. Thanks, Steve. It’s not quite as bad as I made it sound, but I’m still not happy about an $18 drop in one of my stocks. The position is actually an iron condor. The call side is short the $600, and the put side is short the $510. I still have a $23 cushion on the put side, so I am just carefully watching the stock movement today. it looks like they have decided that $533 is about as symapthetic as they want to get with the MAKO problems. I am still in the red on the net condor, but I am going to stay with it a little longer. I did know that earnings can affect more than the stock reporting them, and since I deal with a small group of big stocks, I should have been a bit more careful. I will in the future. For everyone who is using covered calls, it would be a good idea to look at stocks in the “industry” category you are considering. Perhaps some of those earnings dates may be important for the position you are considering taking. I don’t think your ISRG IC is in trouble, re: MAKO. Some years back, I sold the 3D positioning technology that MAKO uses in their robotic surgical systems before they went public. They are in a totally different part of the robotic surgery marketplace than ISRG. MAKO is in the orthopedic space while ISRG tends to be in the laproscopic space. Also, ISRG has sales of approx. $1.86B with an almost $22B market cap vs. MAKO’s $91M in sales and $1B market cap. So, IMHO, I think you shouldn’t be impacted by MAKO’s problems. ISRG has been on the Premium Report for 3 last weeks. I hope that you will share a bit more info about why your iron condor is in the “red”. You said your short put was 510; today’s ISRG market is $533–still 22 points away from going ITM on the 510 short put and losing on your hedged spread. Why wouldn’t this still be green? Your call side is so far OTM that you can BTC at a nickel cost and book the profit on that side of the Iron condor. I find that options traders are often overly optimistic. You are correct. I still had a $23 cushion, but the put traders were making believe that it was going to keep falling. The truth is I was only red by about $150 on 3 contracts. $50 each isn’t a horror, but, I DON”T LIKE RED POSITIONS. Anyway, I felt that the the sympathetic reaction to MAKO was overdone, and they seemed to stop the fall at $530. Today it’s back to $535, and my condors are $152 green. I like green. I am going to hang in there a bit longer. By the way, OptionseXpress new Idea Hub has a suggestion to buy MAKO and sell the AUG12 $15 call. It actually looks intriguing, simply because it took such an enormous beating the other day. “Never take your cue from the weakest player in the industry,” Cramer reminded viewers as he compared the fates of Mako Surgical (MAKO) and Intuitive Surgical (ISRG) in a battle of the surgical robot makers. On Monday, Mako surprised investors by cutting its full-year forecasts, a move that sent shares plummeting 43%. In classic collateral damage fashion, shares of rival Intuitive Surgical also fell 20 points on the news despite the fact that Mako’s problems have absolutely nothing to do with Intuitive Surgical. Cramer said it was easy to see Mako’s problems coming after the company reported terrible earnings on May 7, a 28 cent-a-share loss versus the 20-cent-a-share loss Wall Street was expecting. Those earrings gave Mako a 36% haircut at the time and prompted Cramer to put the stock in the penalty box on May 27. Cramer said that growth stocks like Mako are just like sharks — they can’t stop moving or they’re dead in the water. Mako couldn’t afford to miss on earnings, he said, but it did. 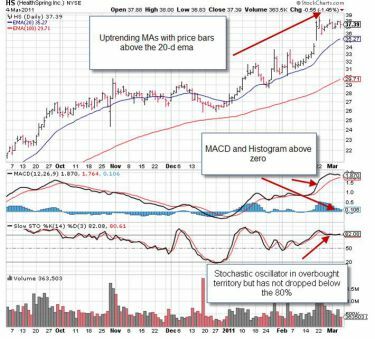 Despite this huge red flag, many analysts still took a chance on Mako and recommended the stock, only to get blown out of the water Thursday. But what of Intuitive Surgical? Intuitive Surgical actually reported a strong quarter, noted Cramer, and the company has a proven track record and a huge base of installed customers from which to derive residual revenues. Trading at just 28 times earnings with a 21% growth rate, Cramer said the story at Intuitive Surgical remains intact. To our members who hold UA and noticed a price drop of almost 50 dollars…DON’T PANIC! UA split today 2-for-1 so you now own twice as many shares at half the price. If you sold 2x $100 July calls that now changes to 4x July $50 calls. This is not the trade of the year, but I have had a perverted sense of success with this trade and I want to share it with the BCI community. I had purchased one lot of QCOR in December at $44.40 to do CC and I did so successfully for a premium income from two trades of $2.88. This gave me an adjusted basis of $41.52, but the late January market of QCOR had relentlessly dropped to a low of $35+/-. It had gone down and down and down. What a negative way to begin my BCI career. I had to mull on my problem for a whole month and this is what I came up with. If I sold at $35, I was at a loss of $6.70+/-. I realized that I had more time than money and did not want to lose this $6.70 so I looked thru the option chains and found an extrinsic value premium of $6.70 for the July 35 Call. Since this was all time value, I figured that I would just count time until July and collect my premium to make my position break even and then either get called away at the call value of $35+/- or “whatever“. The “whatever” surprised me and that is why I am writing to share my story. QCOR had rocketed up to an eye popping $52 while I had been inactive in the stock market. A weekend ago, I decided to look at the numbers to evaluate my decision. I discovered that the time value of my position had gone to just pennies. I realized that I had already earned my $6.70 premium because of time decay and why should I own the stock any more. I believe Alan calls this “at parity”, but I am not sure cuz this is new lingo to me. So I did a BTC on the July 35 Call with a limit order of five cents extrinsic and got filled fairly quickly–several minutes really, but I was determined to rationally say that I salvaged my position at a cost of a nickel and then sold my lot. I did the math for the credits and debits and I am back to zero or break-even from a $6.70 loss. I am so stoked cuz I utilized book learning from BCI teachings—I’m not kidding, this made me feel as if I really were in control of my money. I will admit that it is like bragging that I just graduated from 4th grade, but it surely is a better brag than saying I just graduated from kindergarten. I gave some consideration to rolling out QCOR for another CC cuz all IBD circles were green and the ER was after the July option expiration, but I had been so mentally damaged with the $6.70 loss and the stress of waiting the four month recovery that I just emotionally wished to have it behind me. But I’m still learning and still willing to share my education points. It is great to see how what you learned from BCI was put to use in the real world and to see how it helped you gain control of your future and your wealth. Use this strong emotional reward as a spring board to going deeper into the details of the BCI methodology. 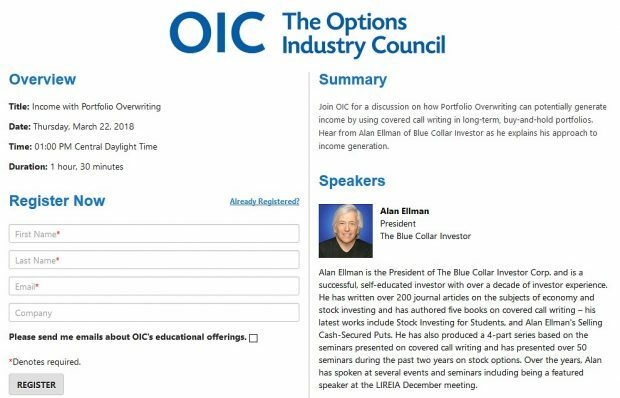 Continue to use virtual trading to learn to implement the other tools in the BCI tool bag and broaden your exposure to other types of issues that will come up in your investing career. David, I’m glad this worked out well for you. I would emphasize Barry’s point about “virtual” or “paper” trading as a way to learn. While you were out of the market these months worrying about your $6.70 you could have placed dozen’s or even hundreds of paper trades to gain experience with the various exit and rolling strategies. While trading with real money will make you sweat and so there is some learning from it, learning first with hundreds of trades using a paper money account is the better way to get started. ***As we enter another earnings season, many of our members find these ETF reports particularly useful since ER dates are NOT an issue with these securities.